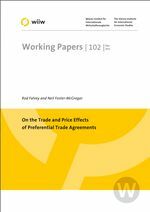 In this paper we extend recent work using the Gravity Model to estimate the trade and price effects of Preferential Trading Agreements (PTAs), by explicitly taking into account the extent of the preferential access being provided by the importer. This involves specifying a trade model, deriving appropriate PTA variables, appending them to a gravity-type equation and estimating it. We find that relying on the estimated coefficient on a PTA dummy variable overestimates the trade creating effects of PTAs. We also use average tariff and estimated trade cost data to calculate the effects of the PTAs in force in 2006 on trade flows. We show that ignoring the general equilibrium effects of PTA membership greatly distorts the distribution of outcomes.